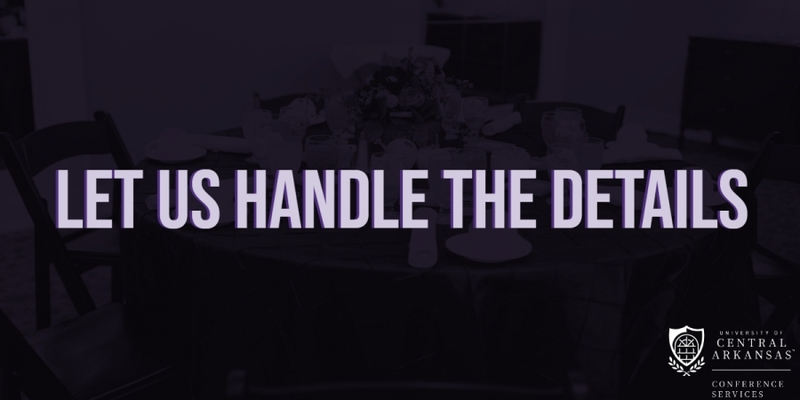 Let us handle the details. 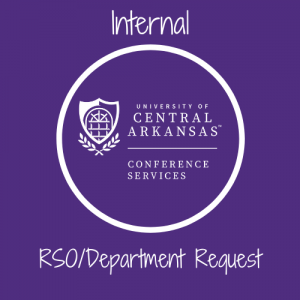 The UCA Conference Services team is here to assist with your event needs. 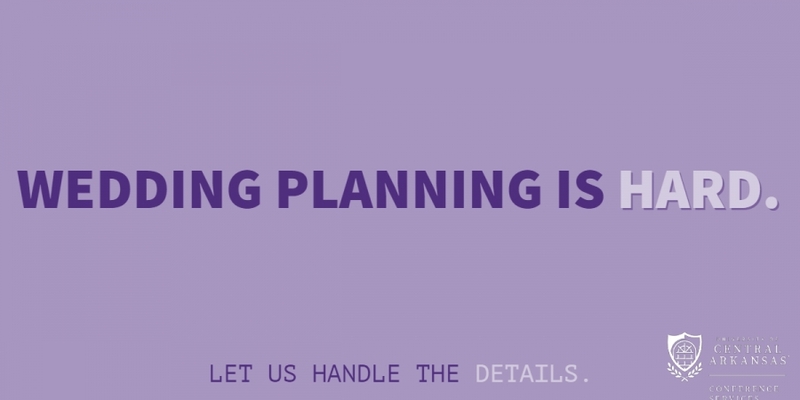 We offer full-service event planning by our skilled staff of event coordinators and have a selection of spaces that is sure to fit your need – click the graphics below to explore the venues. 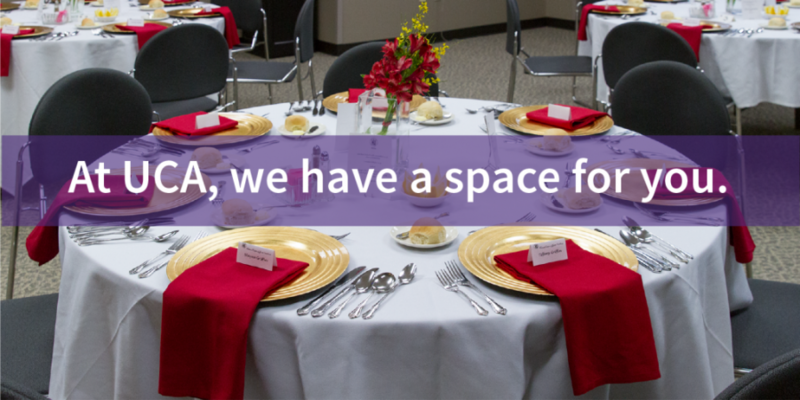 We have a space for you. 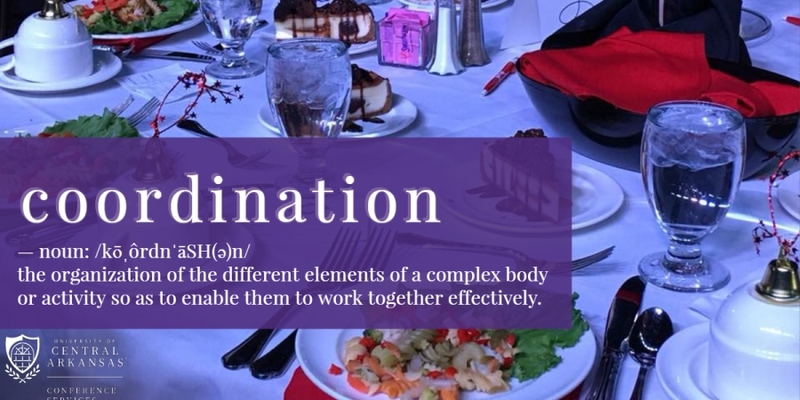 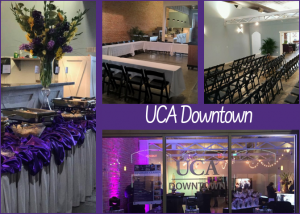 For more information about event planning and renting our venues, contact us at 501-852-2699 or conferenceservices@uca.edu. 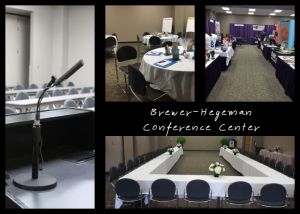 The Brewer-Hegeman Conference Center offers turn-key conference services that can accommodate a small business meeting or a large company conference. 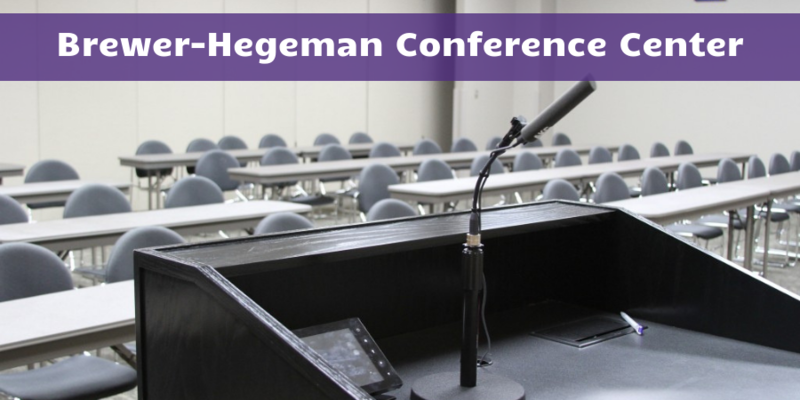 We offer fully advanced audiovisual equipment (including Apple TV) throughout the entire center and this venue is easily accessible making your event convenient for participants. 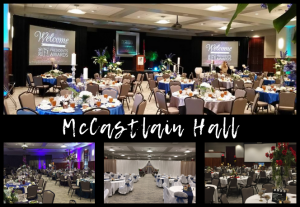 Original beauty with modern features – this newly renovated venue offers two beautiful spaces: East McCastlain Ballroom and Fireplace Room. 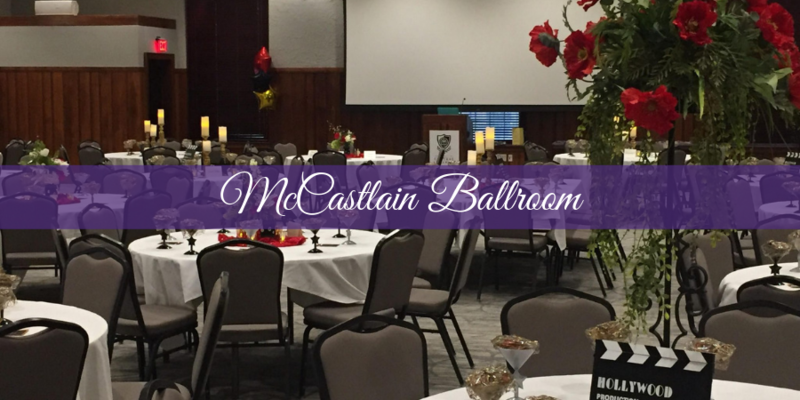 The Ballroom is the perfect spot to host your banquet or luncheon, complete with cutting edge technology (including Apple TV.) 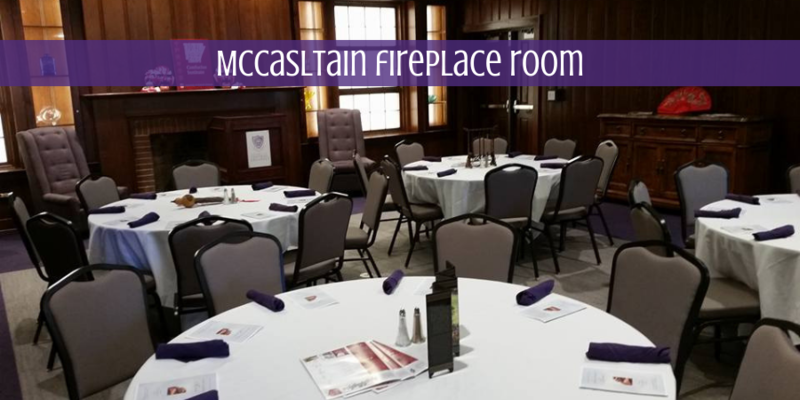 Our Fireplace Room offers a more intimate gathering space for less than 50. 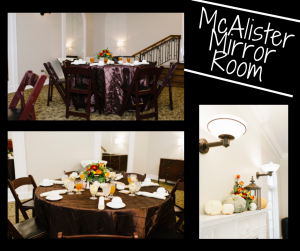 McAlister Hall’s gorgeous Mirror Room recently underwent renovations that have restored the original charm while updating the overall aesthetic. 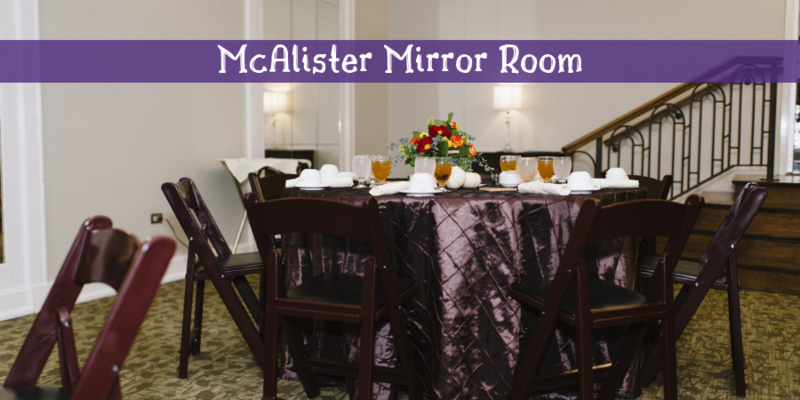 Since the update, Mirror Room has proved to be very popular among Departments and Student Groups on-campus. 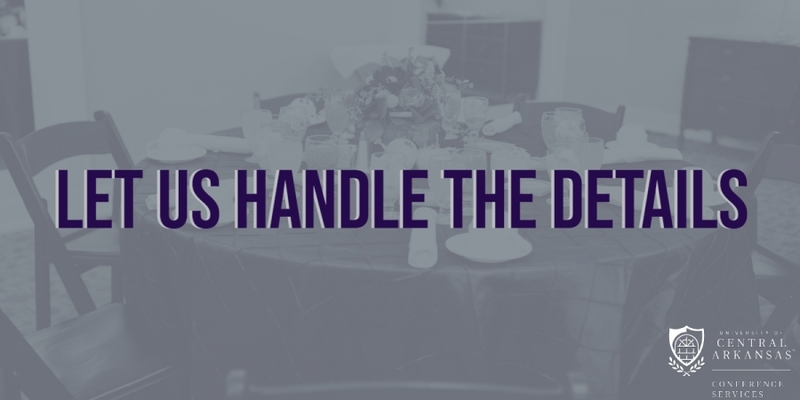 With a maximum occupancy of 80 people, it is the perfect space for your next intimate gathering! Historically chic and located in the heart of Downtown Conway, this space became an instant hit when we opened its doors in 2016. 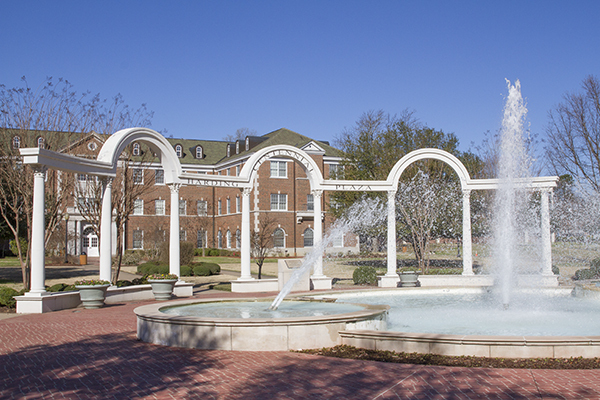 This event space also hosts a quaint art gallery with rotating exhibits. 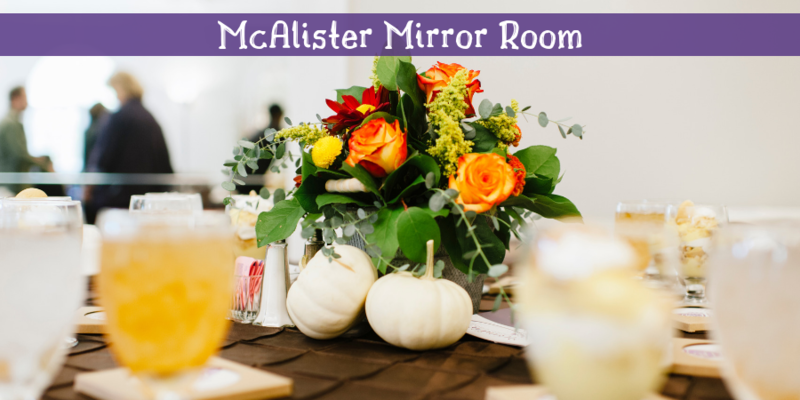 This impressive space boasts original, historic walls and ceilings as well as state-of-the-art technology (including Apple TV) for your use. 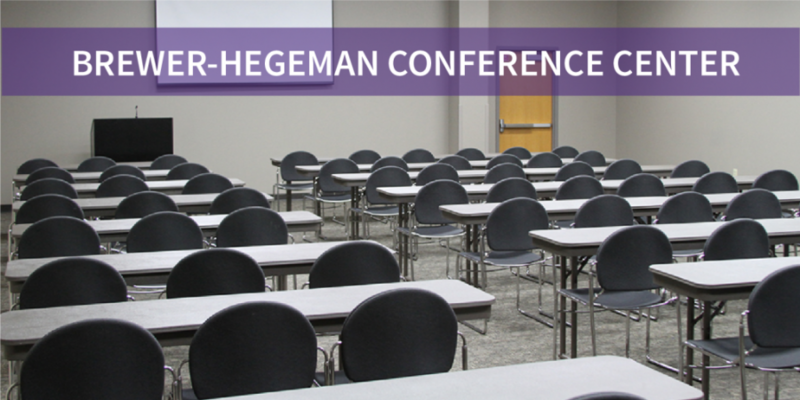 You may also book other spaces through Conference Services. 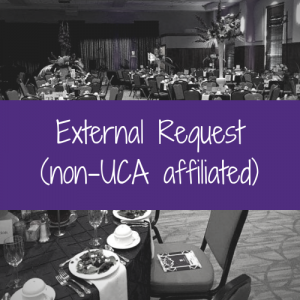 Click here for a complete list of the spaces we have for you at UCA!